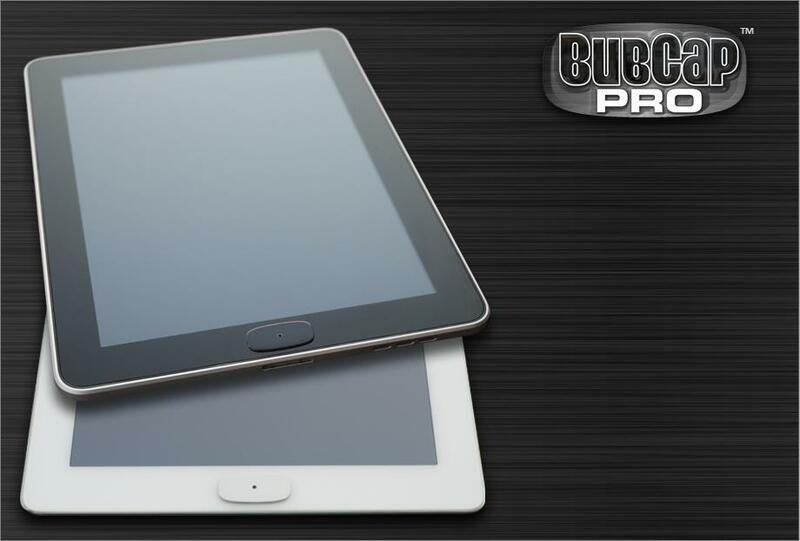 BubCap Pro provides industrial-strength home button protection to keep users from switching out of a designated app. The BubCap Pro is extremely difficult to remove by hand, making it the ultimate simple and cost-effective solution for using the iPad, iPhone, or iPod touch at trade shows, events, museums, bars and restaurants, and in educational environments. BubCaps are also a visual indication for patrons that an iDevice is in Kiosk mode. BubCap Pro comes in black or white. Purchase on our site via PayPal or on Amazon.com. Contact us for bulk orders. 1) The adhesive bond is very strong to prevent the BubCap Pro from being removed by hand. If you need to remove a BubCap Pro, you will have to use a sharp instrument (such as an Olfa, X-Acto, or razor blade), as seen in this demonstration. If you don't use care or don't have an aptitude for such procedures, it's possible to scratch your iDevice or cut yourself. The entire process is done solely at your own risk. 2) BubCap Pro is intended to be adhered directly to the glass of an iDevice; results may vary if applied over a screen protector. 3) For system access, the home button can still be activated using a toothpick through a small hole in the BubCap Pro. iPhone and iPod touch are trademarks of Apple Inc., registered in the U.S. and other countries. iPad is a trademark of Apple Inc.
Paperclip Robot and BubCap are trademarks of Paperclip Robot. ©2011-2016 Paperclip Robot, all rights reserved.